Forgotten Kisses are a sweetly romantic, dreamy, light as a cloud, Chocolate Chip Meringue Cookie. 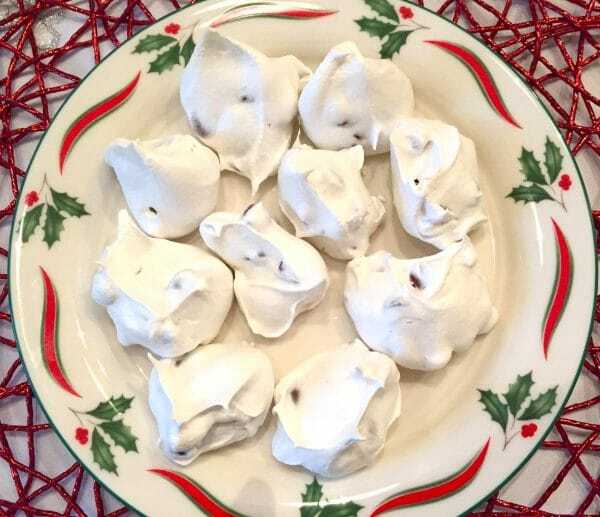 Also called, Leave Me Alone Cookies, Forgotten Cookies, and simply Meringue Cookies, these old-fashioned confections are irresistible bite-size bits of heaven! 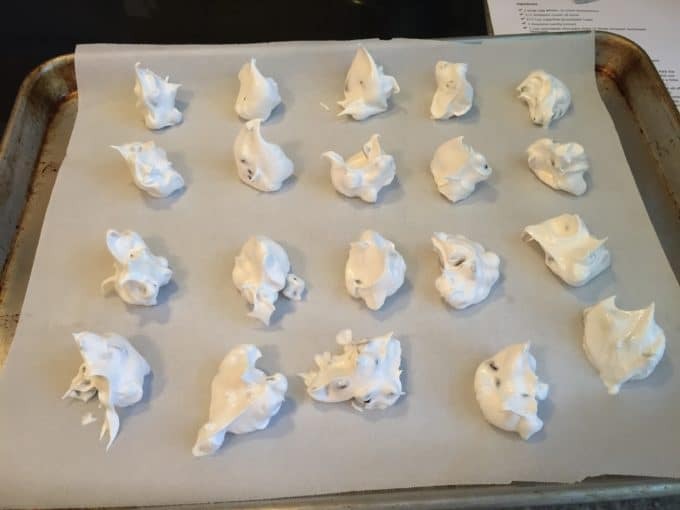 Make this Chocolate Chip Meringue Cookies recipe before you go to bed…and, you will love waking up to Forgotten Kisses. These sweet treats originally got their name because they are shaped somewhat like a kiss and you “forget” them overnight in the oven. 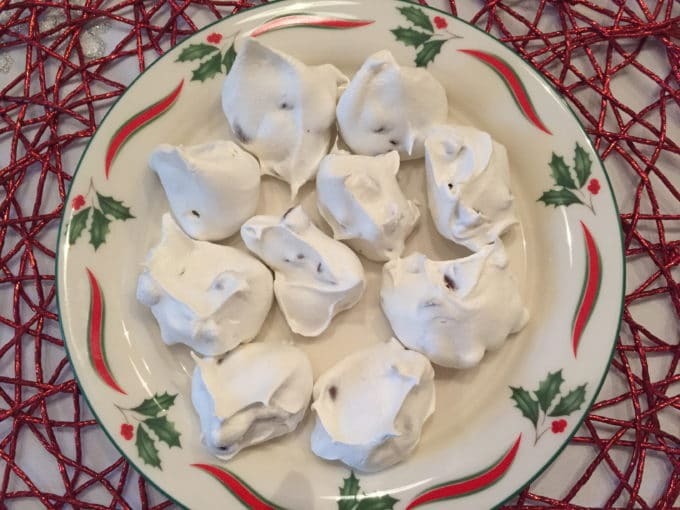 Chocolate Chip Meringue Cookies are very easy to make and have a short ingredient list which includes egg whites, cream of tartar, superfine granulated sugar, vanilla extract, and semisweet chocolate chips. You will also need two cookie sheets lined with parchment paper. Add the sugar gradually while continuing to whisk, about one tablespoon at a time, until all of the sugar is added, and then add the vanilla extract. 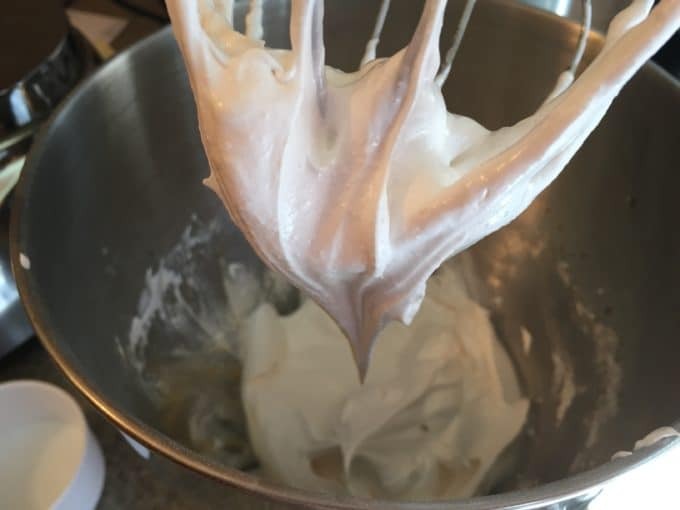 Continue whisking until all of the sugar is dissolved and the meringue is shiny and holds it’s shape. Gently fold in your chocolate chips. Working with 2 teaspoons, take a spoonful of the meringue with one, and then gently push the mixture off to the parchment lined cookie sheet with the other leaving about an inch between the cookies. Place cookie sheets in your oven and immediately turn the oven off, and “forget” them. Don’t open the oven or disturb them for at least 4 hours or overnight, or until the cookies are crisp and dry. It’s best to make these cookies on a sunny, dry day. If it’s humid or rainy, they may become sticky and won’t set up correctly. Thank you for visiting my blog! 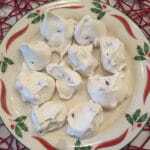 I hope you will try this chocolate chip meringue cookies recipe. If you do, please come back and leave a comment to let me know how you like it. 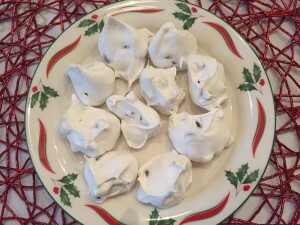 This chocolate chip meringue cookies recipe (forgotten kisses) is very easy to make and take only a few ingredients which are: egg whites, vanilla and others. Add the egg whites to the bowl of an electric mixer fitted with a whisk attachment and whisk until the egg whites are foamy. 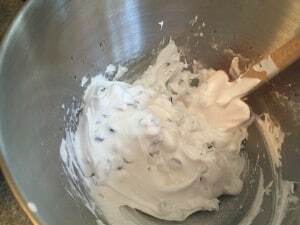 Add cream of tartar and continue whisking until the egg whites are fluffy, but not dry. Don't over beat at this stage. 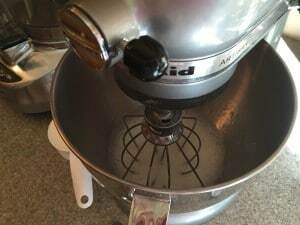 Continue whisking and add your sugar gradually, about 1 tablespoon at a time until all sugar has been added and has dissolved. Add the vanilla extract and whisk until shiny. 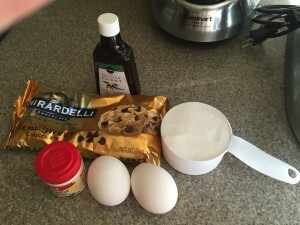 Gently fold in the chocolate chips with a wooden spoon. Using two teaspoons, take a spoonful of the mixture with one, and use the other one to push the mixture off onto the parchment lined cookie sheet. Leave about a 1 inch space between cookies. Place the cookie sheets in the oven, and immediately turn the oven off. Forget them! Don't open the oven door for at least 4 hours, or better yet, overnight.